Would you rather pay upwards of 100's of Dollars for Rock Packs, or Photo-scanned rocks; Or have a material that will do all that for you, for less than 10 Dollars? 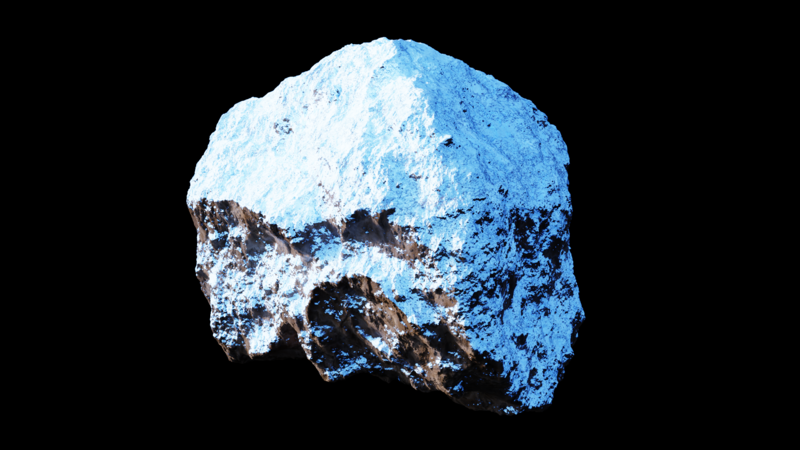 True-Rocks is a fully procedural rock material, that uses a dash of Colour Nodes, a pinch of Math Nodes, and a BUCKET OF MAGIC, to fully realize that Porous Rock in true PBR style. If that wasn't good enough for you. Free updates for life, and no price hikes when I add content! "Okay, but why would I need this?" ROCKS ARE EVERYWHERE, Literally... Everywhere. A Rock can be the difference between a flat boring environment, and a truly lively one. The Magical thing about this; The Dust shader can be slapped onto any mesh you want, and it'll generate dust atop the surface of it. You don't need to apply any rotation to the objects either, as the dust is generated based on the worlds Z axis. If you wish to rotate your objects, the dust will always stay on top... Truly, Procedural! True-Rocks, rocks; are optimized for Render speed too! Cleverly modeled with modifiers, which allow smooth Viewport speed, short Render build times, but incredible details! Control Dust Roughness, color, displacement, mapping, among other options. 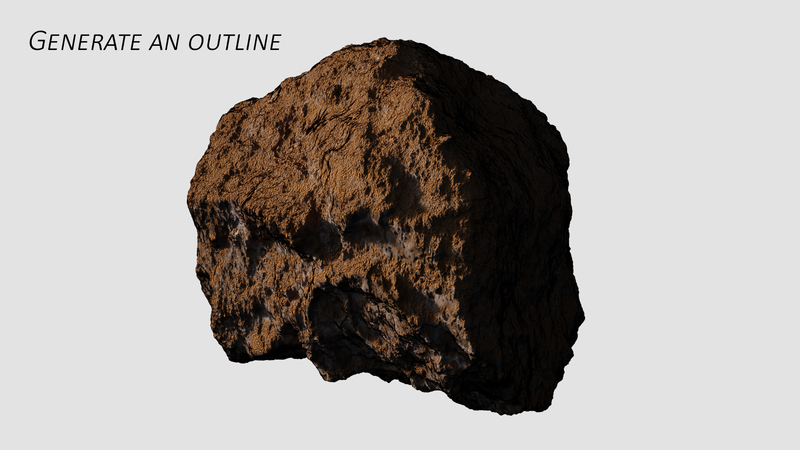 True Rock comes complete with, 13 Rock shapes, 1 general shader type, but several variations of this, to suit different object sizes, a Dust generation shader, an outline generator, and an HDRi world. I've included all of these, because I know how hard it can be, to create work to the best of your potential on a shoe-string budget! The Possibilities are endless with True-Rocks, See how you can bring your Environments to life! My issue isn't here... What do I do? I am more than happy to reply to any, and all messages. Am I limited to personal use with this? You can use this for whatever you please; Commercial, Educational, or personal use. I cannot see the displacement? Firstly, please check the version of Blender you are using. This product was built using 2.79x variants and tested in the latest experimental builds of 2.8 only. If you are on these versions, then you will need to enable the "experimental" option in the render tab (where you select CPU or GPU in the properties menu). I get a Cuda/Open CL error when I render? You will need to increase the number of pixel dicing either on the modifier tab of the object(s), or; change the pixel dicing number in the 'Geometry' panel under the properties. You may also need to lower the amount of subdivisions in here too, to a more reasonable number. This is not a shader/product defect, this is a hardware limitation of your machine.